American Control Electronics (ACE), along with our Minarik Drives brand, have built an extensive and successful history of designing and producing durable, industrial grade motor speed/torque controls. You may be familiar with our standard catalog products, but did you know our custom control capabilities have helped many of our OEM customers differentiate their products, simplify their design, and increase profitability! If you have a need for a unique control solution, don’t settle for something sitting on a distributor’s shelf, contact American Control Electronics for a free consultation! The technological “barriers” between the capabilities of motor controls, PLCs, and positioning systems are disappearing. By incorporating microprocessors into our controls, our customers can simplify their machine control systems as well. For many of our customers, the use of “sophisticated” control solutions required PLCs or servos with motion controllers. Those are now commonly being eliminated by American Control Electronics’ expanding line of programmable controls. Whether it’s firmware and/or hardware adaptations, we will help you reduce panel space, installation costs, and BOM complexity. 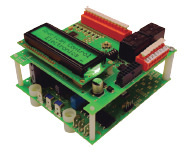 By utilizing microprocessor-based designs, ACE can change or eliminate trim pots, modify DIP switch configurations, and adjust input types or parameters. These “mission specific” controls allow customers to purchase and use only the functionality they need and want. This can reduce installation time, cabinet space, and the chances of improper settings in the field. Unlike many manufacturers, we don’t require large volumes for customization. Our refined engineering and production team allows us to satisfy the needs of small to mid-size machine builders, as well as large OEMs. Our climate controlled 35,000-square foot manufacturing facility is ISO 9001:2008 certified and has received unconditional lab and factory approval by UL/CUL. As an early adopter of the new UL61800-5-1 standard, ACE has already released several new products carrying the new mark. No room for a control panel? Is space a concern for your application? By partnering with a variety of motor manufacturers, ACE can create unique motor controls that contain feedback, I/O, and communications in a single compact, integrated assembly. This often leads to easier ordering, faster installation, and space savings. Chances are you’ve seen an American Control Electronics product in the field and didn’t know it. We private label our products under various brand names, including many for internationally known motor manufacturers, OEMs, and distributors. If you’re interested in having brand loyalty and custom tailoring of your controls, then a private label may be the solution for you. ACE doesn’t just help its customers become market leaders through design and electronics alone. 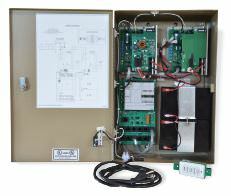 Many of our OEMs have discovered the benefits of allowing American Control Electronics, a UL508A certified factory, to assemble our controls with other components into their panels. Rather than plan assembly time and panel design, plan on ordering a single part number that is ready for your application! Don’t feel restricted to “off-the-shelf products” that don’t fit YOUR needs. Contact ACE for a custom control solution, specific for your application, today.